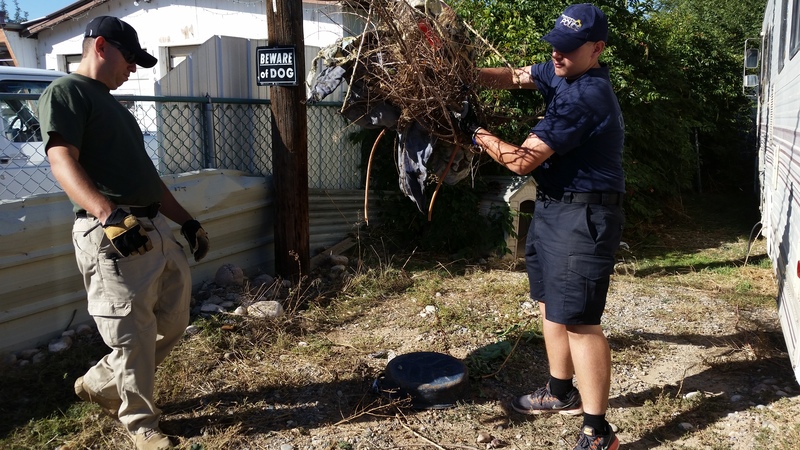 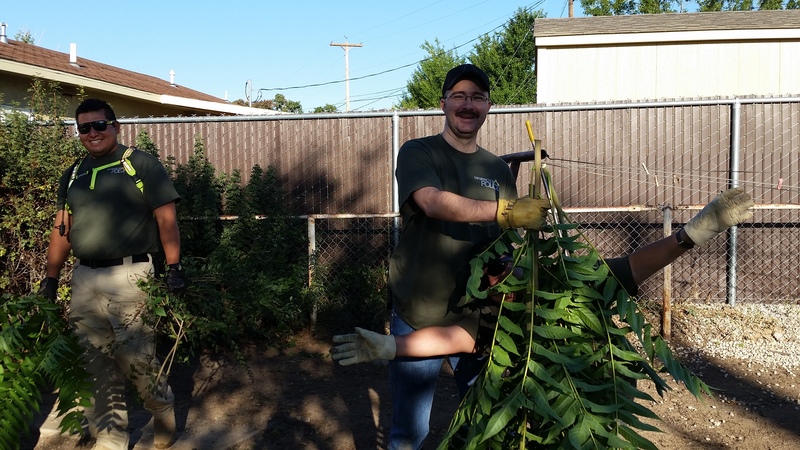 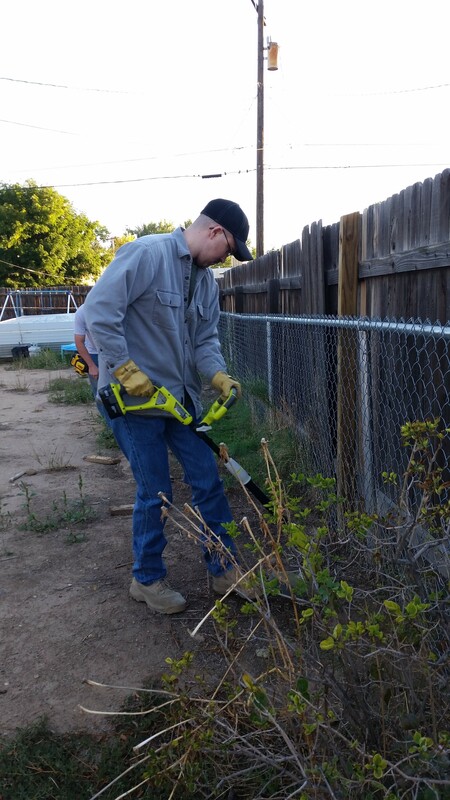 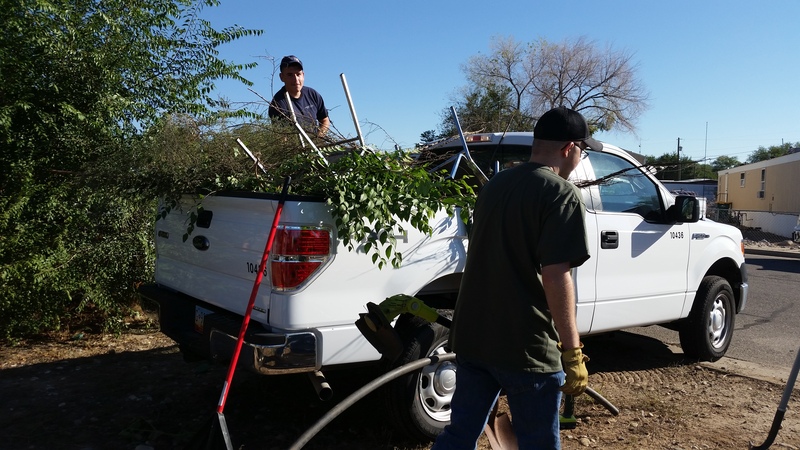 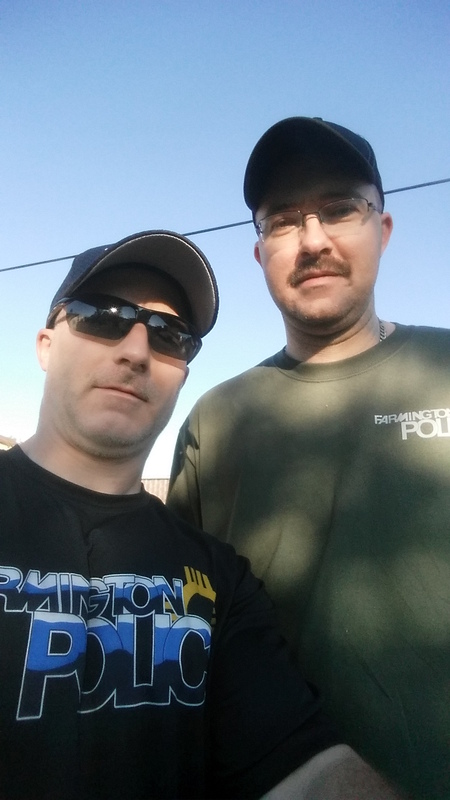 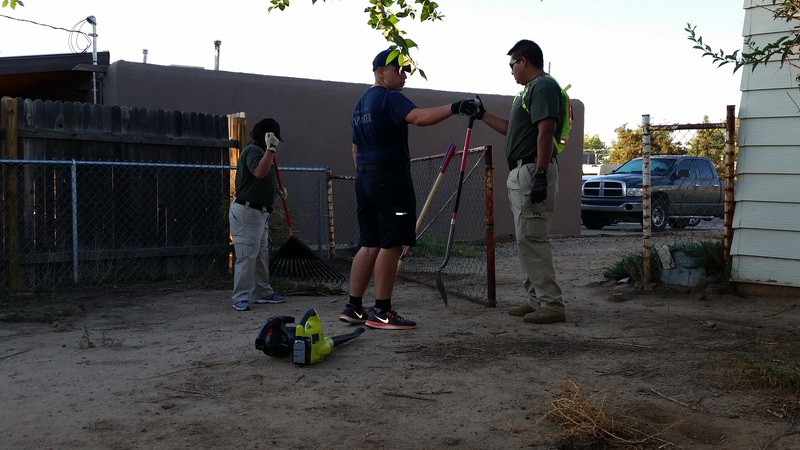 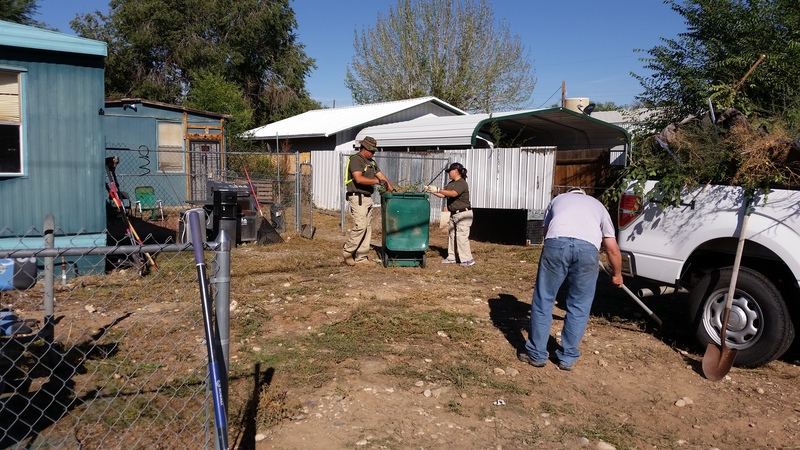 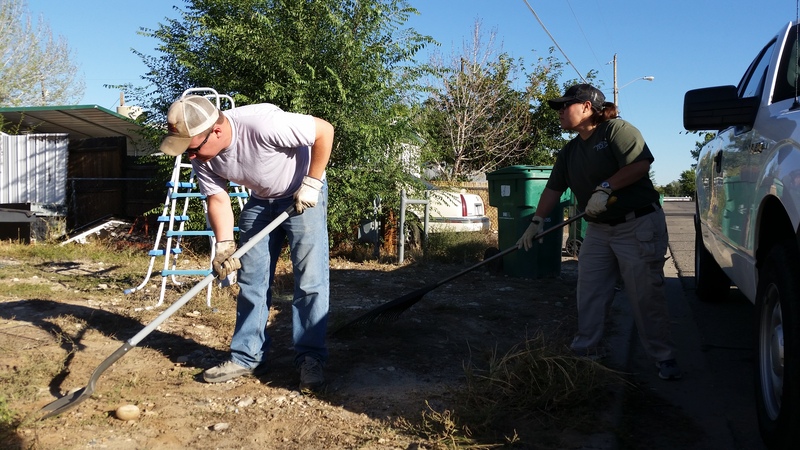 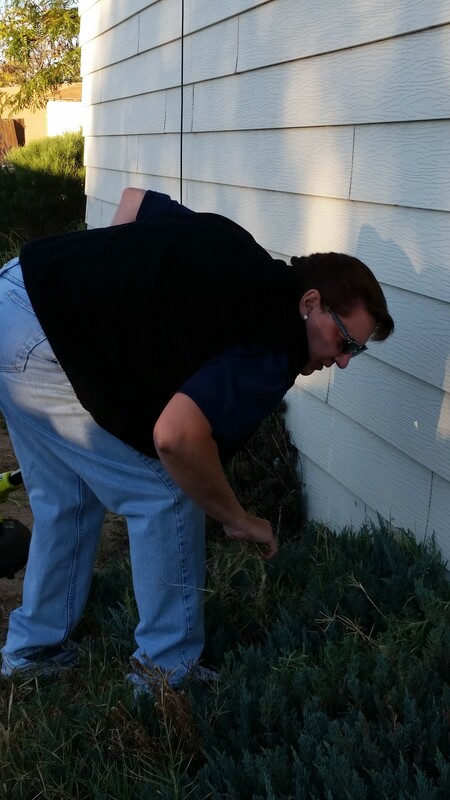 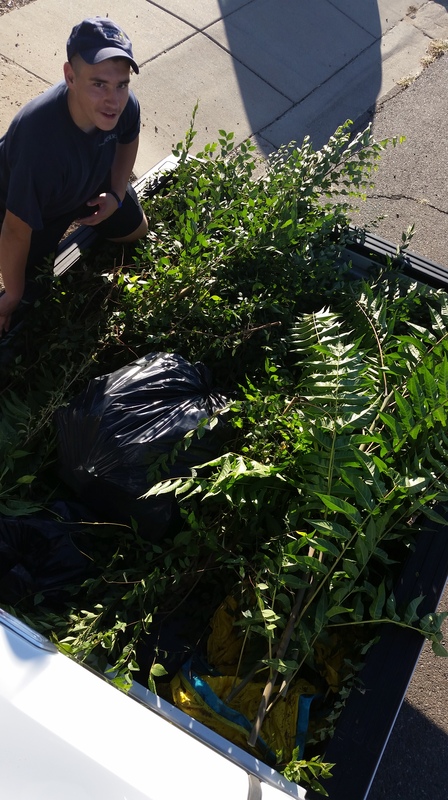 Farmington Police Department employees spent this past Saturday cleaning the yards of community members in need. 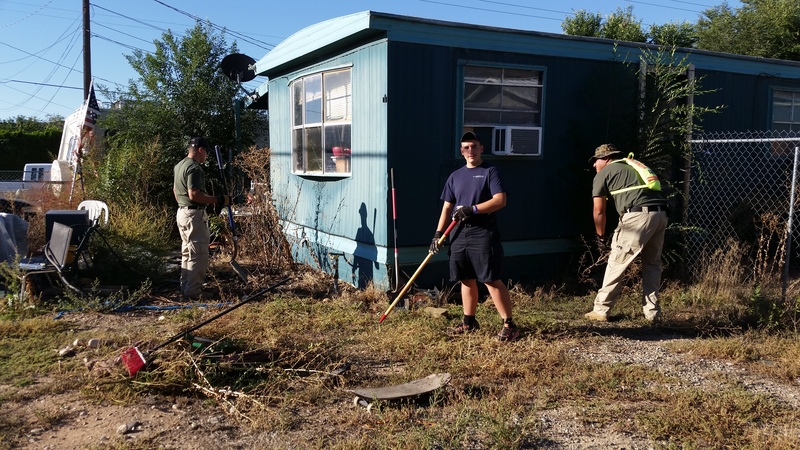 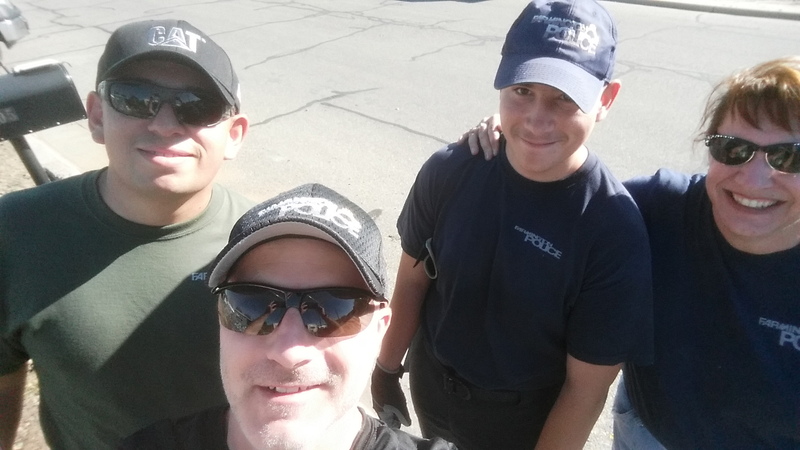 Among the employees were Code Compliance officers and their supervisor, the District Coordinator Unit sergeant and lieutenant, FPD’s fleet manager and a member of the Explorers group. 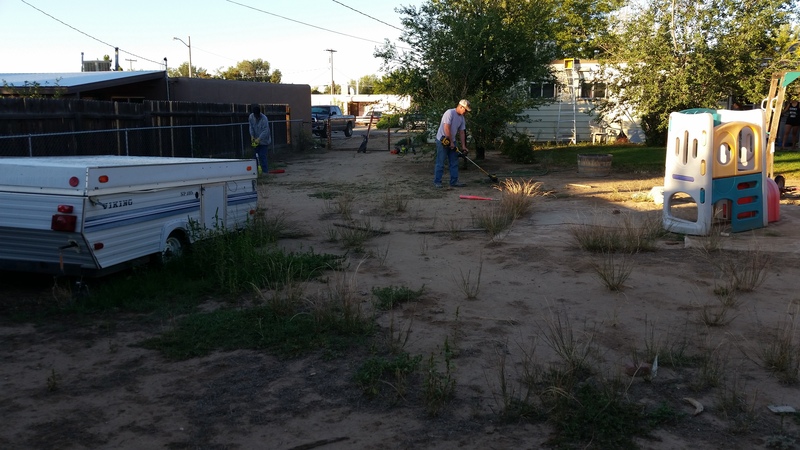 A limited number of properties were chosen from submissions sent to FPD over the summer. 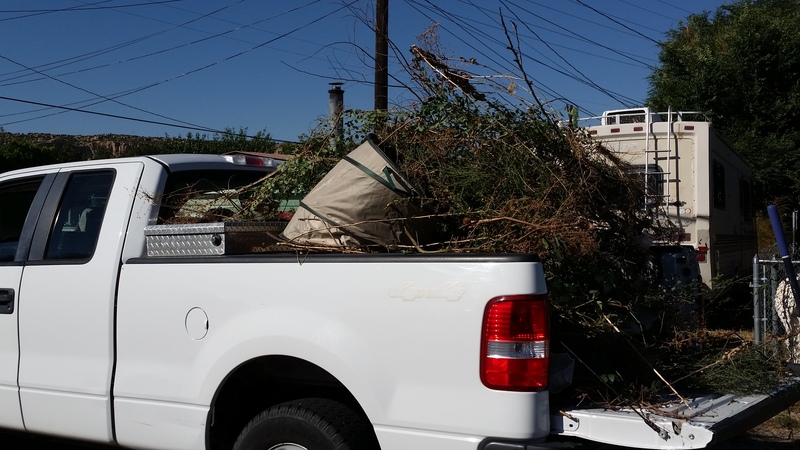 This is the second year Code Compliance requested nominations for residents who didn’t have the means to remove debris and overgrown vegetation from their yards. 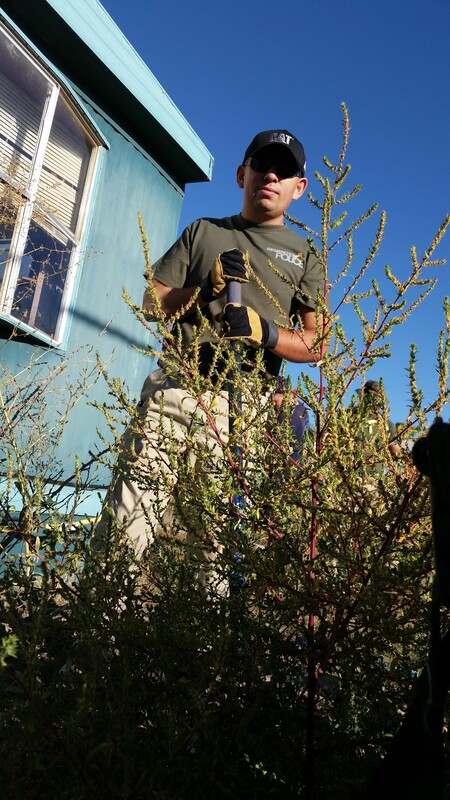 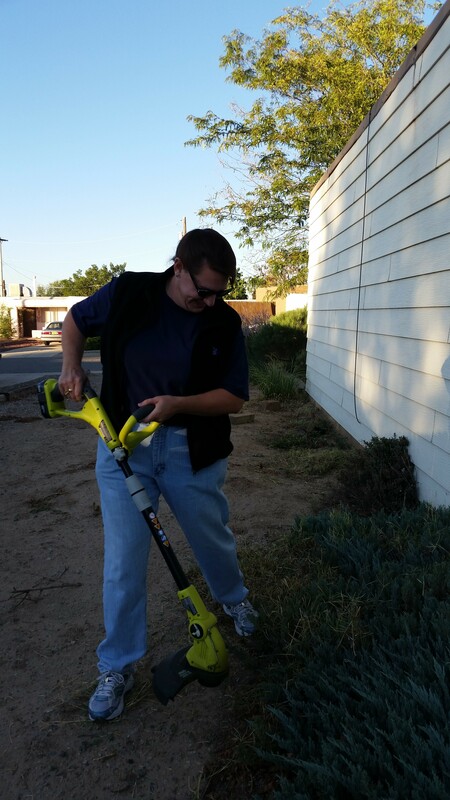 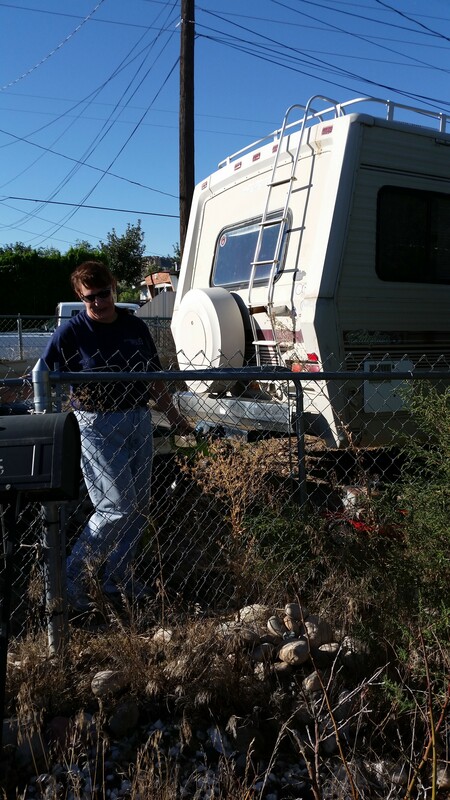 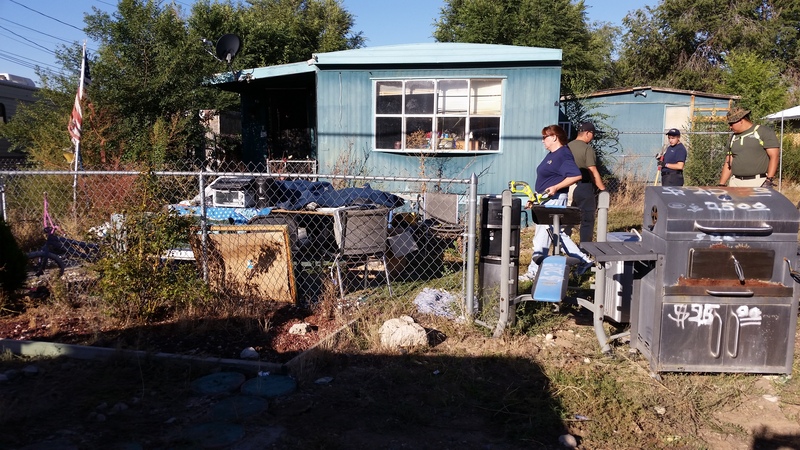 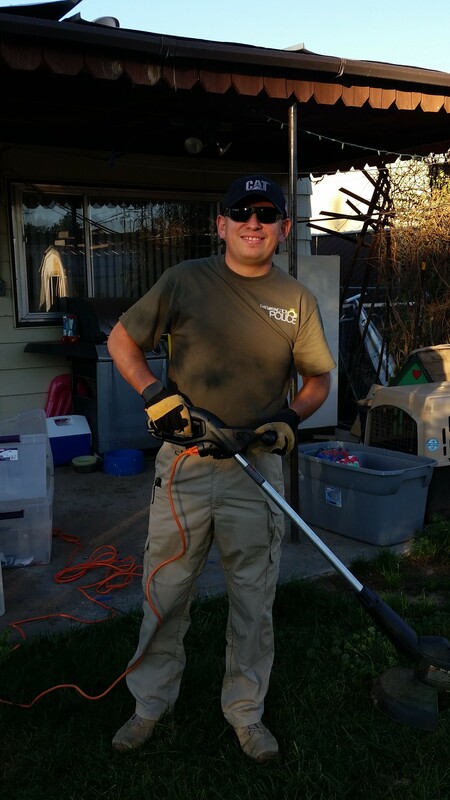 This year, properties located on the 5000 block of Loma Alta Drive and the 1300 block of South Monterey Avenue received assistance.